It is every dad’s nightmare – his little girl goes missing. Kishore Modak’s pursuits of education and corporate life aremoulded in large part by what most young Indians yearn after. Education took him first to NIT-K and then to IIM-Ahmedabad. In the IT industry, he has pursued a career in Marketing with IBM, Intel, INSEAD and Dell. The writing and its inevitability, comes about from the experiences and the people that have enriched his times. The emergent tales, they had to find a vent in the writing, relieving pressure, helping him remain intact; because unwritten they will turn into thought cancers. The blurb itself makes this book a truly read worthy. That is what made me apply to the contest held by the publishers. And finally I won the book. The book begins on the note where the father loses his daughter in the red light area of Pattaya a living nightmare for any parent. The narration is so powerful I was held onto it till I finally finished it in few hours staying up the whole night to just know what, why, when and how.After finishing the book I felt as if I was back from a trip to Pattaya via Bangkok. Yes it was that excellently narrated that I travelled through those lanes of that city. This book is a perfect thriller set in a city which as enticing as scary it is. The author has served a perfect mishmash of emotions, lust, love, greed, desire and feelings making it an un-put-downable read. The main character Palash is so very well articulated that you actually grow fond of him by the book ends. The best part about this book is it talks about a person who are not perfect, who make mistakes and that’s what makes them more relatable. 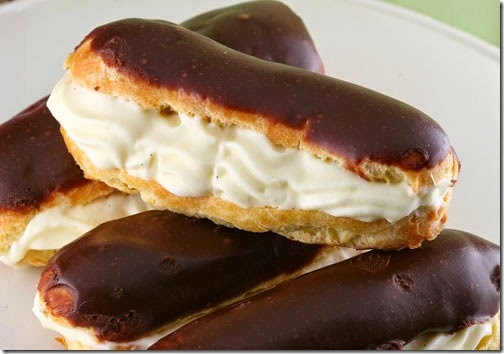 This book is like éclairs pastry - crunchy, goey, delicious, tempting and unstoppable.